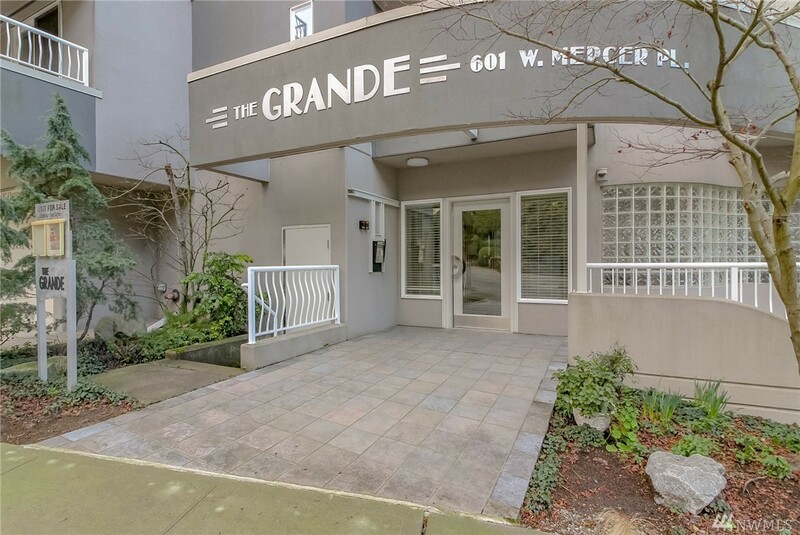 1,513 sq ft - MLS# 1405235 Courtesy of Windermere Real Estate Co.
"Grande" views from Mt Rainier to Olympic Mtns w/ the active Elliott Bay and captivating sunsets center view. This light filled west facing 1500+ sf, 2 bdrm, 2 bth, 2 gas frplc home has formal and informal living areas w/wall A/C. The grand piano shaped balcony offers summer relaxation. The master ensuite includes a huge walkin closet, jetted spa tub & lrg bedroom. You will enjoy chefs kit, new stnless applncs & granite. Home has 2 gar pkg spcs, lrg storage & bldg has 5 guest parking spots.